After 5 years of being forum-less, Aersia is now finally open to the public! Yes, it's been 5 years since I ran a forum. The previous one (Cosmic Collapse) had some irreversible problem with it overloading the server. I was forced to take it down after a request from my host (but not before I made a backup), and thus began a 5-year dark age. 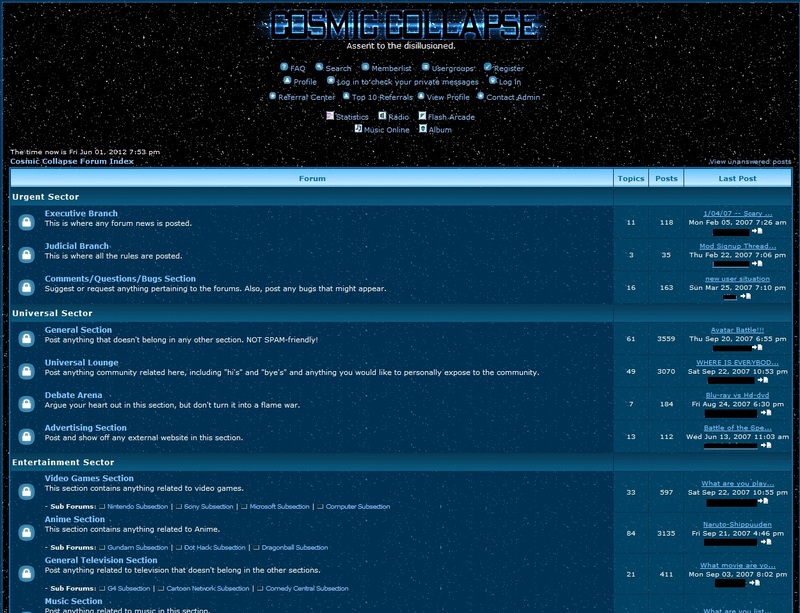 This is a new host with new forum software!